Middle school sixth-graders enrolled in the home and careers program recently learned the four aspects of early childhood development through a hands-on lesson involving eggs. 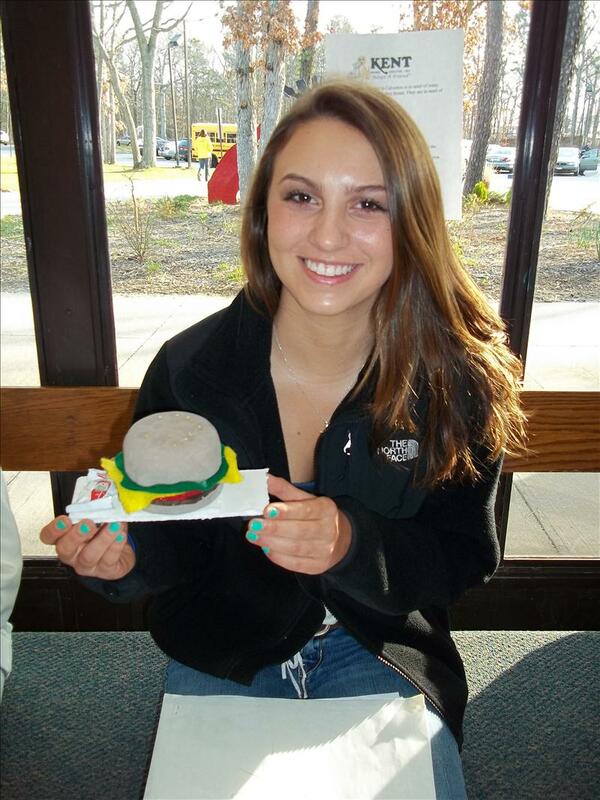 As part of the project, the Shoreham-Wading River students demonstrated their knowledge of physical, emotional, intellectual and social development by creating an egg baby with a lifecycle and designing an environment that their egg creature would thrive in. 15 Prodell Middle School music students participated in this year’s “Harry Chapin Practice-A-Thon”. Students found sponsors, who pledged money for each minute of their practice, during the month of March. The student’s hard work resulted in a donation of $793.43 to “Long Island Cares”, a food bank in honor of Harry Chapin. Students were honored to help fellow Long Islander’s in need and hope to increase participation and exceed this year’s donation, for 2017. In first place Kelly Logan and Kyra Faragasso with their Futuristic design. In First place for Scale model design Jamie Johannessen and Abi Wing . In second place for scale model design Olivia Tingo. Congratulations to all the participants from Mrs. Peterson's 7th grade Technology classes! Under the direction of school music teachers Linda Jutting, Paula Albert-Franz, Artie Gross and Kevin O’Brien, 6th grade General Music students have been playing the famous Hawaiian ukulele. The ukulele joins the already established keyboard, percussion and guitar units in helping students explore the many elements of music. The students’ ukulele skills include various methods of picking, numerous strumming patterns, and sight reading. Singing and strumming along to various styles of music from native Hawaiian folk tunes to modern day rock songs help immerse our students in our nation’s diverse heritage. By teaching the ukulele we hope to develop a love and passion in the students for playing music both in and out of the school setting! Thank you MS PTA for supporting this addition to our music program. Ms. Katherine Riley, owner of Katherine Jon Salon and her team members Victoria and Rose speak to children about the importance of creating goals and working towards accomplishing those goals. Mr. Carl Harris shares about how he reached his personal and professional goals, and teaches the importance saving money and planning for the future. Congratulations to Albert G. Prodell Middle School students Natalie Acker, Mika Misawa, Ella Panasci, Margaret Panasci, Brooke Roff and Abigail Wing, for representing the SWR School District in this years Long Island String Festival Association Jr. High and Middle School Orchestras. Competition to be accepted into this years Festival was extremely competitive. After 2 lengthy, yet productive rehearsals with other students from Suffolk County, a wonderful Concert was performed for family and friends on January 17th (Middle School Orchestra) and February 1st (Jr. High Orchestra). MS students Tiana Suppa, Paige Allessi, Principal Linda Anthony, Ashley Lupens celebrate Random Acts of Kindness at the middle school. These students were selected as November's Student of the Month for nominating a friend who showed kindness. Students in Mrs. Racaniello’s Accelerated Science Class were presented with the Future Stewards Awards from the Long Island Pine Barren’s Society and National Grid Foundation for their outstanding achievement in winning the “Middle School Goes to College” competition for their project aimed at cleaning up Long Island’s groundwater. 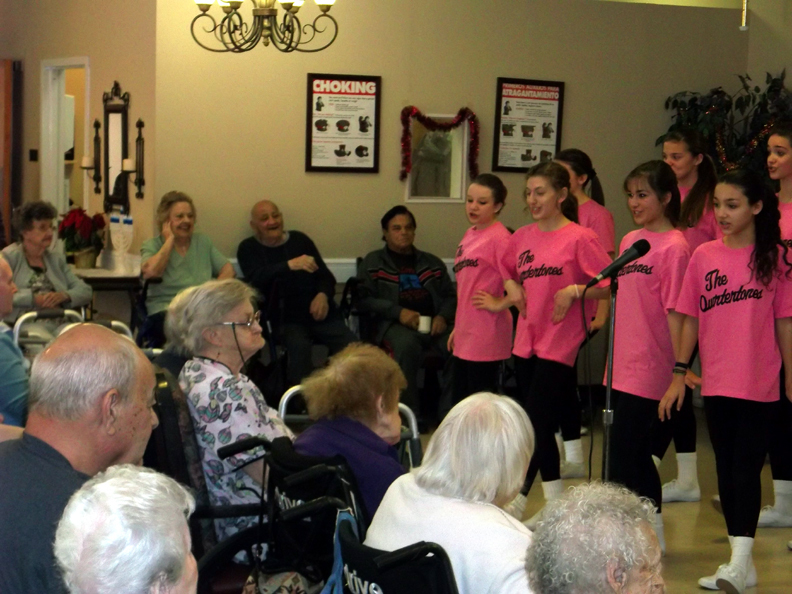 The students pictured from left to right are: Adam Zelin, Tara Mirabell, Madisyn King, and Elle Schepis. The awards were presented to the students on October 21, 2015 at the Oheka Castle in Hungtington. The students were honored with being recognized as Outstanding Student Leaders. Middle school 4-H members Njeri Mburu, Christine Shiru Mburu, Erin Dany, Isabella Sheridan, Isabella Aspesi, Brook Feren, and Katlyn Arabio completed a revitalization of the greenhouse for our school. In Home & Careers, students learn about child development. Their project requires them to design a creature with a life cycle from an egg and create age-appropriate developmental items for social, intellectual, physical and emotional growth. Chiara created a shark and named it "Hibiki". Her environment is the ocean floor. We are pleased to announce that Prodell Middle School--Grade 8 was the winner of the Suffolk County Division 1 Mathletes trophy. Pictured here, left to right, are Mrs. Valerie Cacaccio, Katlynn McGivney, Justin Stuart, Javon Evans, Andrew Honold, Julia Petreczky, and Ms. RoseMarie Handshaw. 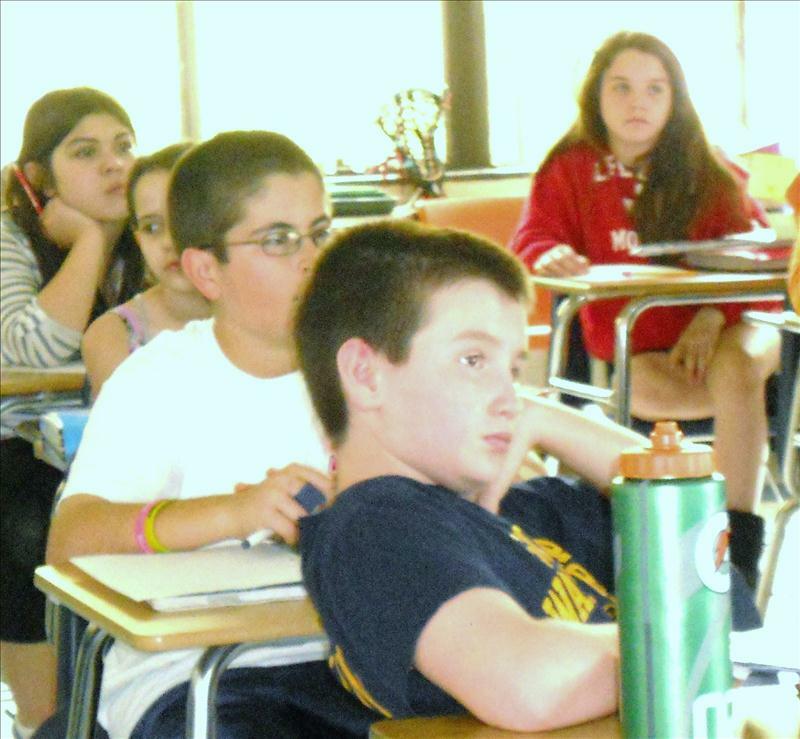 The Albert G. Prodell Middle School’s 7th grade Accelerated Science Classes participated in a new program this year called: “Middle School Goes to College”, sponsored by the Long Island Pine Barren’s Society, the Nationalgrid Foundation and Stony Brook University. Mrs. Racaniello’s classes learned about Long Island’s groundwater, how the impact of human pollution affects the Long Island aquifers and ways to prevent further groundwater pollution and also ways to remediate the groundwater that is already polluted. Students worked in teams on an inquiry based project that was then brought to Stony Brook University where members from the Long Island Pine Barren’s Society judged the projects. The students participated in a poster session where they answered questions about their own projects as well as had an opportunity to view other projects by two other Long Island School Districts. There were Key Note Speakers that provided more information to the students about their local groundwater and the different effects of pollution on the local environment. 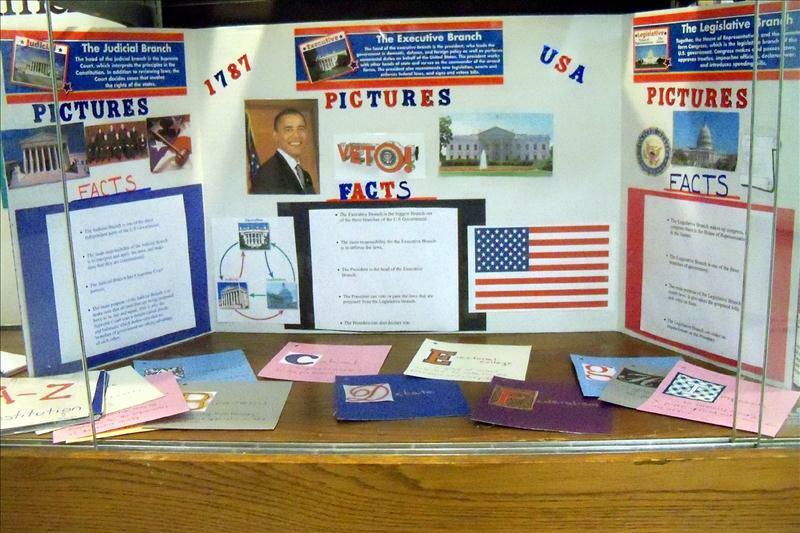 One project was chosen by the judges to be outstanding among all of the projects for each School District. The winning project from Albert G. Prodell students was titled “Preserving Groundwater” by Elle Schepis, Tara Mirabell, Madisyn King and Adam Zelin (pictured above from left to right). On September 20, 2014, Lori Racaniello coordinated the second annual beach cleanup. Madisyn King, Francesca King, Aaron Scott, Albert Scott, Ellen Higgins, Keith Rennard, Kaylee Rennard, and Lori Racaniello volunteered to clean the beach at Wildwood State Park. They were part of the Ocean Conservancy’s worldwide effort to keep beaches and waterways clean. Pollution at the beach was picked up and catalogued as to the type and quantity. This information will be placed into a world wide data base for scientists to use. Last year over 648,000 volunteers in over 92 countries collected more than 12.3 million pounds of trash along 18,000 miles of coastline. The Albert G. Prodell Middle School is proud to be a part of such an important event to protect our local beaches. It is important to clean the trash from the coastline in order to protect the marine animals and land animals and plants that use the beaches as their home. The website http://www.oceanconservancy.org/our-work/international-coastal-cleanup/ will have this year’s data. Educating students about environmental awareness and the impact humans have on the environment is very important to the teachers at SWRMS. Sarah Cain and Samantha Nicosia- winners of the Earth Day poster contest. Ms. Racaniello and students Julia Petreczky, Javon Evans , Alex Bakos, Timothy Ibrahim, Avery Morley, (and not in photo) Sonia Joseph and Emily Hassid planted flowers and made birdhouses for the middle school. On Pi Day, the students wore clothing adorned with the pi symbol, ate pie, and did pi related activities in their math classes such as creating a pi chain for the digits of pi, decorating pi symbols with as many digits of pi that they could fit around the edges of circles, discussing fun facts about pi, and they also participated in web quests to learn the history and origins of pi. On March 12, 2014, the SWR Middle School Participated in the Suffolk County MoMath Trimathelon at Brookhaven National Lab sponsored by the National Museum of Mathematics. This unique tournament allows budding mathematicians to experience the same special treatment that student athletes receive from their supporters. The competition has two components - Individual and Group. This year our school participants were: Eric DiLisio, Sean Kahn, Katlynn McGivney, Katie Loscalzo, Tarika Mane, Christian Wesselborg, Sonia Joseph, Alec McCarthy, Keyi Chen, and Amanda Campo. Also pictured are Ro Handshaw and Katie Froelich, middle school math teachers. Keyi Chen won 1st place in the individual competition by answering all of the questions correctly. We congratulate Keyi on this incredible honor. Two teams from the Albert G. Prodell Middle School participated in the Regional Middle School Science Bowl Competition on 3/1/14. The competition consisted of an academic round robin competition where students tested their knowledge of science and mathematics. There was also a lithium battery model car competition where students needed to present their design log to judges and answer questions about their model cars followed by racing their cars down a track. The Science Bowl was exciting and fast paced and was a great learning experience for all students involved. The middle school held a moment of silence the morning of September 11th to commemorate the events of 2001 at the World Trade Center. Social Studies classes are writing letters to First Responders that the school will send to local firefighters and police. Our school library displays United States flags to help us remember this day. Random Acts of Kindness chain. Recently, Alan Alda threw down the gauntlet to scientist worldwide to explain what a flame is in a way that 11 and 12 year-olds could understand. The response was phenomenal; both from scientists and students who offered to judge the entries. Mrs. DeSimone’s Science classes offered to assist as judges. The students were very enthusiastic about their roles and took the job of judging very seriously. Initially, the team received 10 entries to evaluate. Later they were asked to review the final 7 finalists. 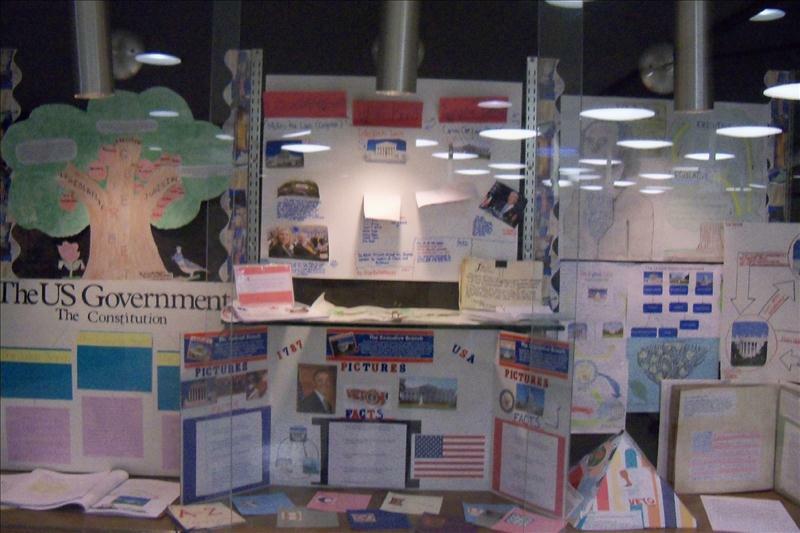 The range of entries ranged from long texts to cartoon videos. There were two incredible entries among the final seven and the students found it difficult to discern which the best was. Both were so creative. 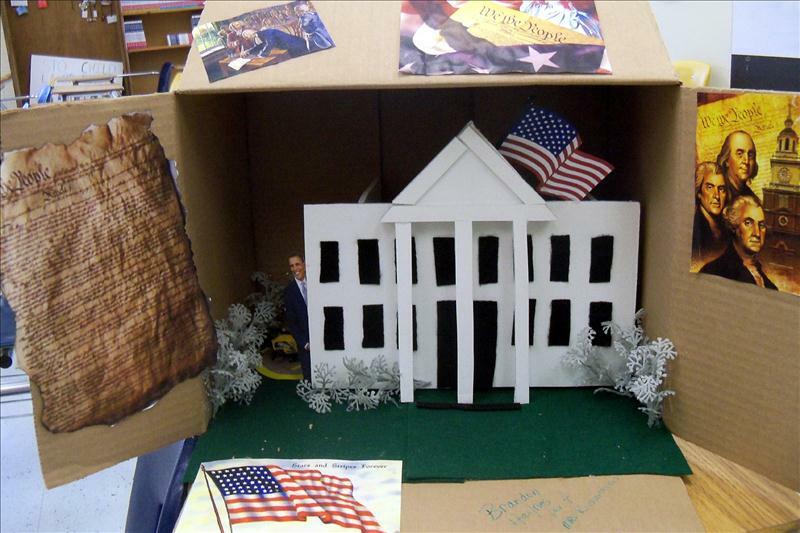 The winner was announced on June 3rd and the winner was one of the class favorites. If you have a chance, take a look at the final entries at flamechallenge.com. You will most definitely learn what a flame is! Long Island, like so many areas, has traffic congestion problems. Many experts believe the best way to solve this problem is to design new transportation systems. One approach is to develop "MAGLEV" vehicles which float over a fixed track, supported (levitated) and driven by magnetic fields. This is like flying with lift provided by magnets instead of wings. At Albert G Prodell the eighth grade students in Mrs. Petersons technology classes designed and constructed prototype MAG -LEV vehicles. 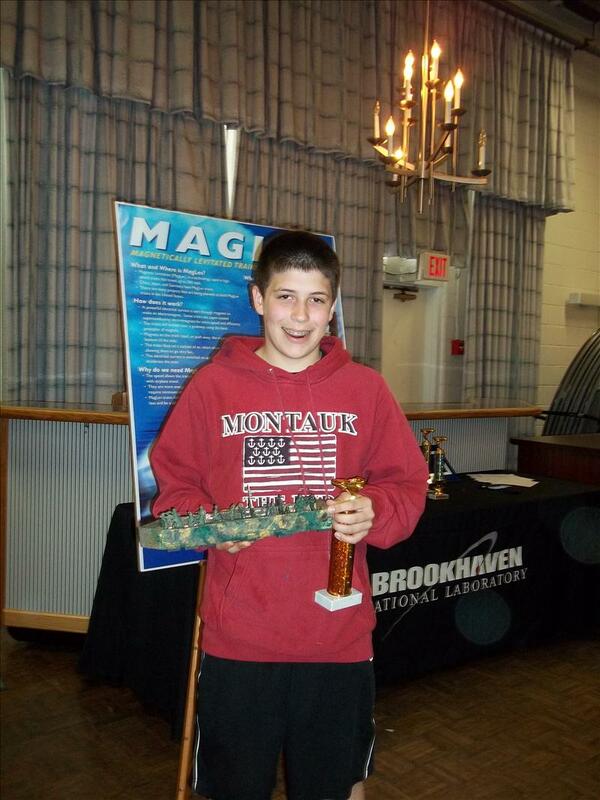 The top 15 students from Prodell competed against middle schools from all over long island at the Brookhaven National Lab magnetic levitation competition on March 28,2012. We are proud to announce that we had three winners in the five categories. Noelle Aronica took bronze in the scale model division, Matthew Corona took bronze in the futuristic division and Justin Hackle brought home the silver in the gravity category. Congratulations to the Prodell MS Tech Team. 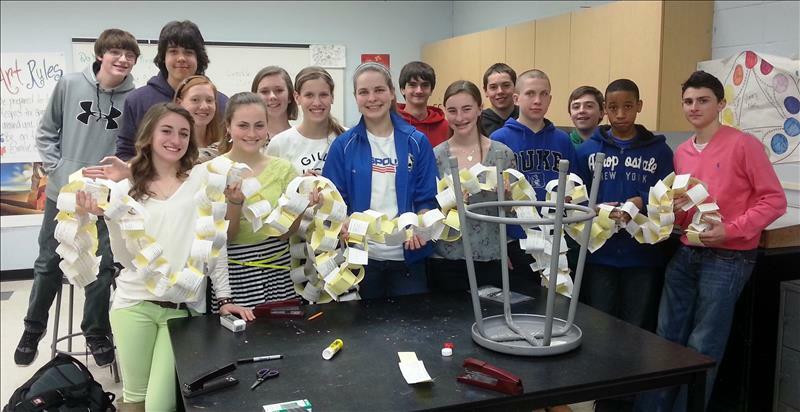 Sixteen 7th grade Technology students attended an alternative energy production contest. 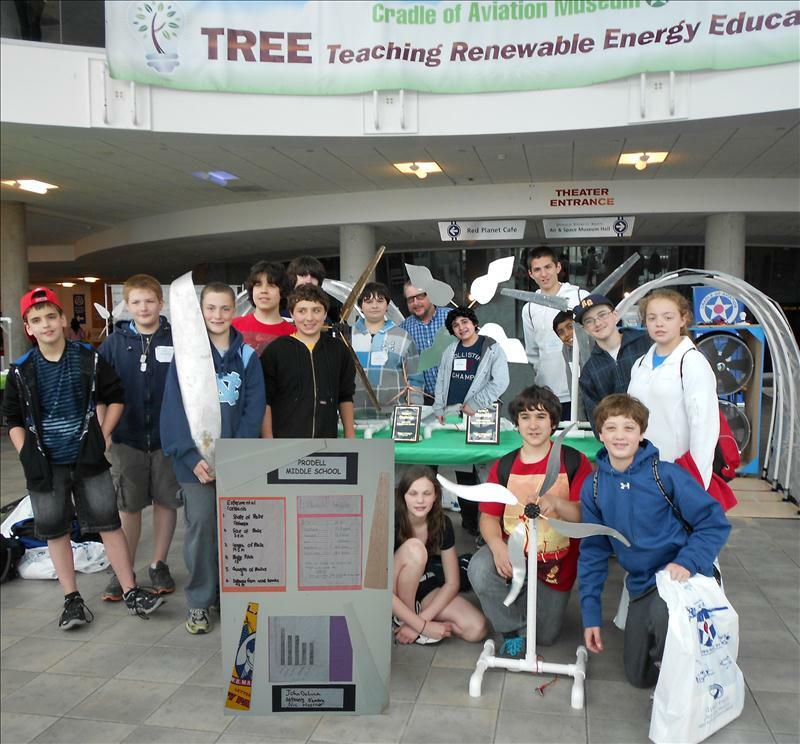 These students worked during their lunch and recreation periods to design and create wind turbines to test in wind tunnels at the Cradle of Aviation Museum in Garden City. The students each designed a set of turbine blades which would be the most efficient at producing energy. Eight different groups tested a specific scientific variable that would affect the efficiency of the turbine. These scientific variables included length, weight, shape, material, blade pitch, gearing, quantity of blades, and air foil design. Students recorded and graphed their results. Students hypothesized about their designs and drew conclusions based on their findings. At the Kid Wind design competition the students presented their findings to a group of judges. The judges questioned and evaluated the students on their ability to defend their decisions on blade designs. The students competed against other middle schools from Long Island. Our students took second and third place in the Kid Wind Challenge For Wind Turbine Alternative Energy Production. 50 students from the Albert G. Prodell Middle School celebrated their writing and artistic talents at a breakfast on April 5th. 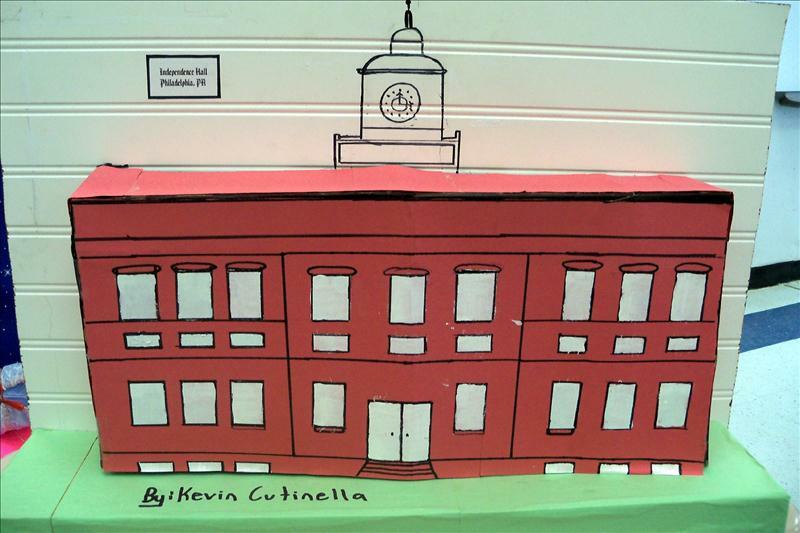 The students contributed writings on key topics of interest to the upcoming 6th grade class of 2012-13 into an orientation book that each 5th grader will receive at the spring orientations. 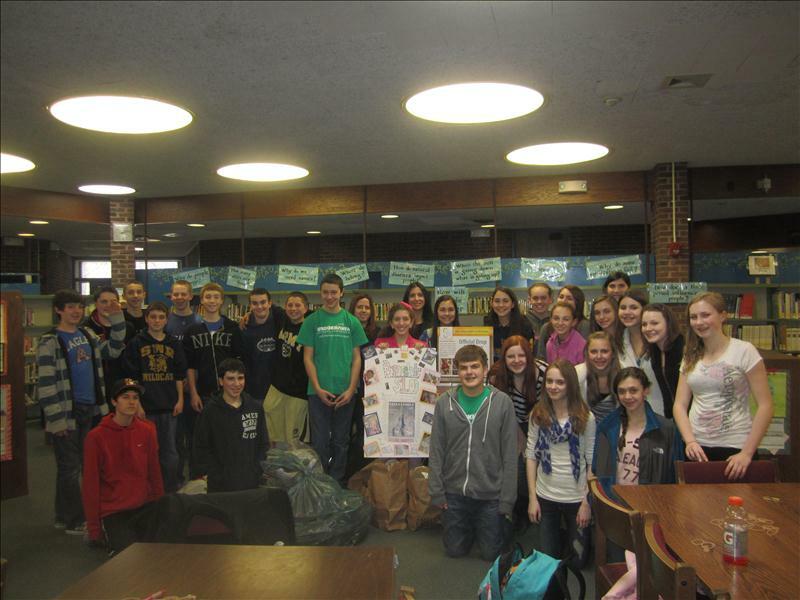 NJHS- Soles for Souls collection. 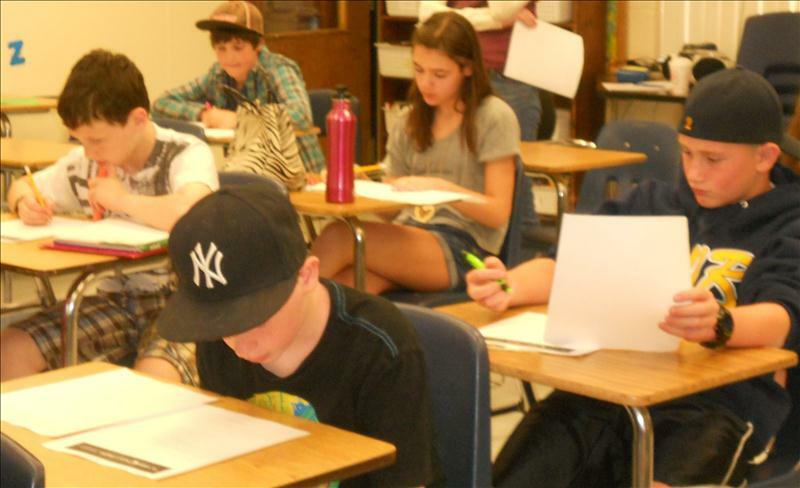 Seventh graders in Mrs. Moschetti and Mrs. Senneca's social studies classes demonstrated their knowledge of the <u1:place u2:st="on"><u1:country-region u2:st="on"><st1:place w:st="on"><st1:country-region w:st="on">US</st1:country-region></u1:country-region><st1:place w:st="on"><st1:country-region w:st="on"></st1:country-region> Constitution by creating projects that “enlightened” us on our constitutional principles. Students selected their projects based on their personal learning patterns. They were able to pick from choices that ranged from an A to Z flip book/scrapbook, essay, poster, model, and a letter to a representative. Many students chose to write letters to Senators Schumer and Gillibrand and we are looking forward to getting responses back. 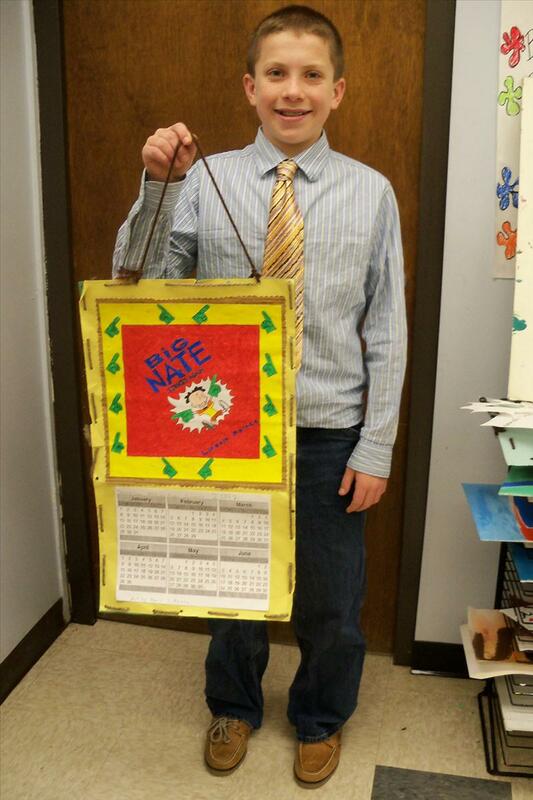 Literacy Initivitive Calender Project Seventh graders and Ms. Goelz, Art Teacher. 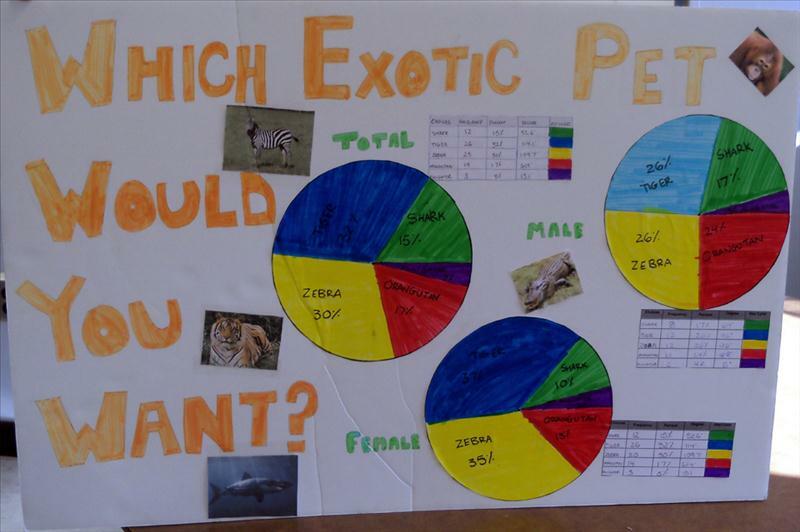 The 7th grade math students worked on a statistics project over the course of a month. They created a question to ask their classmates, tallied their results, and made circle graphs to compare the results of the total population, male population, and female population.